As long time residents of Laramie, Levi and Kati are passionate about seeing the Laramie Dance & Arts Center continue to provide affordable, top notch dance instruction. Kati began with Robyn Guice Dance Studio of Laramie in 1984, studying tap & jazz and teaching, serving on LHS Plainsman Cheer throughout high school. Levi was a Plainsman swimmer and proficient gymnast. The Himes are long-time Laramie residents and Class of 1997 LHS Alums and UW graduates (Kati Health Sciences 2001, Levi Geology & Geophysics 2002); Kati received her degree in Sonography from LCCC in 2003 and was a student rep to the LCCC Board. Levi & Kati were University of Wyoming cheerleaders and coached the Laramie Plainsman cheer squad from 1998-2000. They chaired the Wyoming Junior Miss (now Distinguished Young Women) program from 2004-2006; Levi served as Worshipful Master of Masons, Laramie Lodge #3 (2006-7) and Indian Pantbrush Elementary PTA President (2012-15); Kati served as President of UW Women’s Club (2011-13), a Board Member of the Children’s Museum (2003), Laramie Coop Preschool Board Member (2004-5), and Indian Paintbrush PTA Teacher Appreciation Week Coordinator (2014-16). Levi and Kati both served as Grand Guardian/Associate Grand Guardian and Grand Bethel Guardian/Associate Grand Bethel Guardian for Wyoming Job’s Daughters, Shrine Bowl Cheer Coaches, and Bethel #2 Laramie Guardian/Associate Guardian, serving together between the years of 2001-2016. During this time they coordinated with statewide volunteers and teenage Job’s Daughters, orchestrated trips cross-country, summer camps, competitions and conferences. In Summer 2015, Levi was appointed by Governor Matt Mead to the Wyoming Board of Professional Geologists (presently serving). In 2016, Levi was named a 20 Under 40 by the Laramie Young Professionals Organization & Laramie Boomerang; in 2014, Kati was named a 20 Under 40 by the Wyoming Business Report. 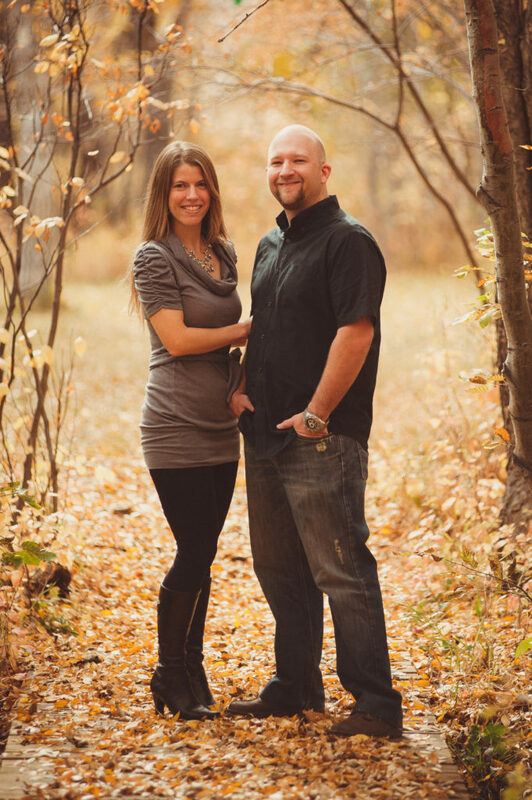 Levi and Kati are the founders & owners of Wyoming Weddings Magazine (est. 2009) and Wyoming Lifestyle Magazine (est. 2010) and Wyoming Woman & Family Magazine (est. 2017), giving them many opportunities to connect with the arts in Wyoming. They organize bridal expos in Laramie, Cheyenne, Casper and Rock Springs year round as part of their publishng company. The Himes also operate House of Pounce bounce houses out of the Laramie Dance & Arts Center. Seeing a need in Laramie and Wyoming as a whole, Levi & Kati opened LKH&Company Retail in Spring 2016, selling dance wear & gear, gymnastics and figure skating gear. Levi is trained as a Pointe Fitter, traveling the state working with Wyoming’s dance communities, and recently completed a Gaynor Minden fitting workshop as well as being trained through professionals in the business. Kati enjoys working with all ages fitting apparel and shoes, especially endorsing her lifelong love of tap. The Himes continue to pursue their professional careers — Levi is a Senior Geologist and GIS Specialist at Weston Groundwater Engineering in Laramie; Kati is an Obstetrical Sonographer at Laramie Physicians for Women, and a Vascular Sonographer at Vein Treatment Center in Cheyenne with Dr. Lawrence O’Holleran and Laramie Med Spa & Vein Center with Dr. Tom Nachtigal. Laramie Dance & Arts Center has evolved and grown as the Himes see needs in the community, and as individuals approach the Himes with fun & unique ideas that incorporate well into the community. Kati and their son are part of the Irish Academy at LD&A, and their daughter enjoys pointe & ballet, belly dance, tap, jazz, contemporary and hip hop at LD&A, as well as participating in all Laramie Valley Dancer activities. Their son also enjoys Snowy Range Taekwondo, is a natural tapper and is digging hip hop with Miss Stephanie! As an active Music Together family with small children, the Himes appreciate the love of music and movement that those early family sessions inspired in their children. Having the opportunity to open Snowy Range Music Together in 2014 was just a natural fit. Levi and Kati nurture a long-term passion for the arts and their hometown of Laramie, and are very proud of the community that has been building at LD&A since 2014!